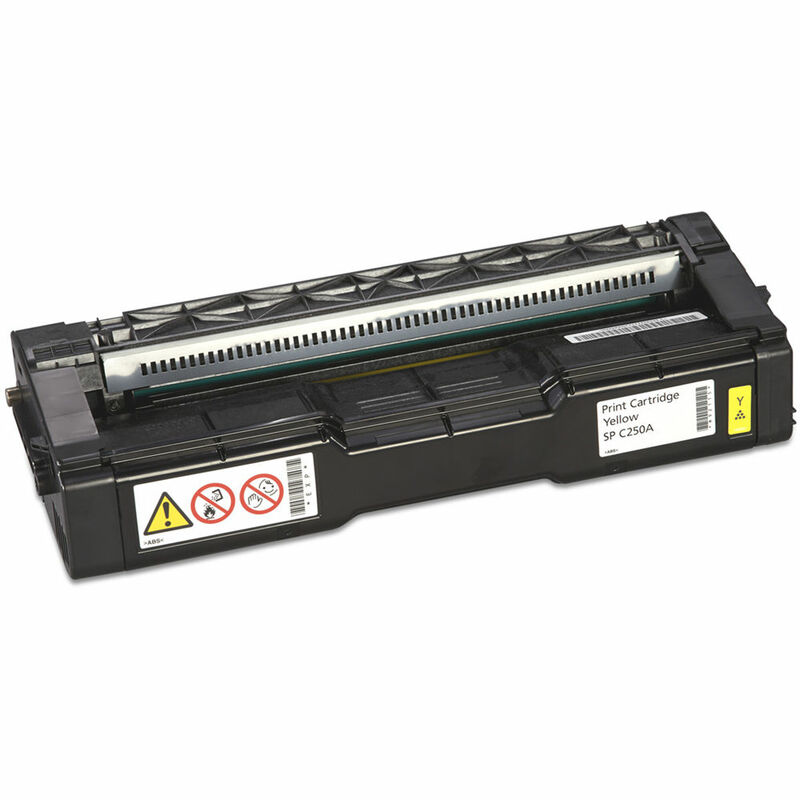 Produce another 2,300 prints with your SP C250DN, SP C250SF, SP C261SFNw printer with this replacement Yellow SP C250A Print Cartridge from Ricoh. Box Dimensions (LxWxH) 17.1 x 7.3 x 4.7"
Yellow SP C250A Print Cartridge is rated 4.5 out of 5 by 13. Rated 5 out of 5 by Larrybuck from I would by this product from B&H again and again, Super fast shipping, replaced another toner cartridge from another company. It did not work, left excess toner on the page and could not use. Got this one and worked and still working great. When I need replacements I KNOW I WILL BE BUYING FROM B & H AGAIN AND AGAIN. Rated 4 out of 5 by Christopher B. from I would buy this again Excellent install. Works at the right price. Don't know for how long though so only 4 stars. The box is fantastic design too so that you can send them the old one back to them and not feel guilty about trashing it. Rated 4 out of 5 by Richard from Toner for a great printer. The toner for this printer is a little expensive, but the last cartridge lasted me 1-1/2 years. The CMY cartridges are still 1/2 full. Rated 4 out of 5 by John from Performs as advertised The cartridge is performing as expected and as advertised. And, in this case, the price was great. Rated 5 out of 5 by Anonymous from Ricoh toner IThe quality of the cartridge is great. Oder and delivery was fast and easy to comprehend. Rated 4 out of 5 by Richard from Good preplacement cartridge A little expensive, but lasts a long time. The printer output is very good. Rated 4 out of 5 by Richard from Replacement cartridge A little expensive, but lasts a long time. The printer output is very good.